25th MARCH 2018 ~ First I had to sail across the ocean from Penang Island to Seberang Perai. Then I met my cousin and her family at the ferry terminal and was taken to another state - Kedah. To get to Kulim from the ferry jetty at Seberang Perai, the journey took about 30 minutes as the traffic was smooth. I was there for another reunion sessions with relatives, ex-students and ex-colleague. 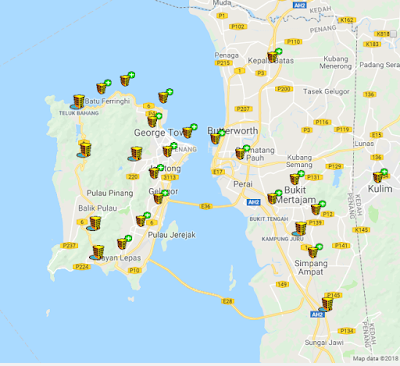 Based on the map above, try to spot the town of Kulim. 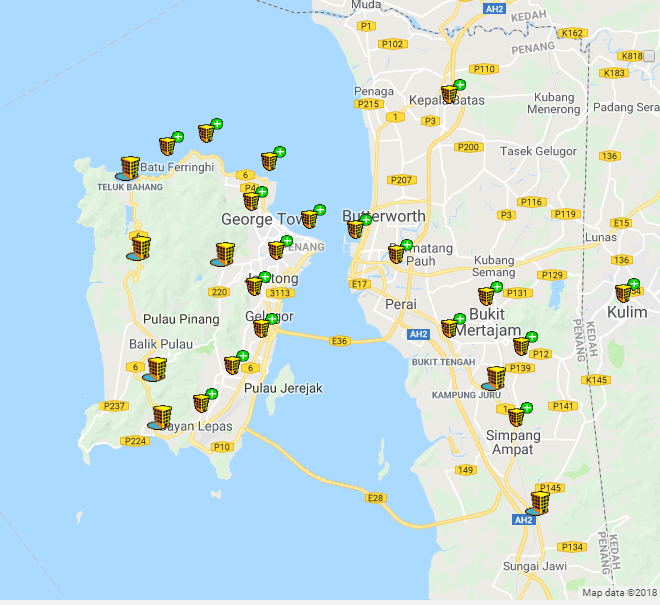 It is located right at the border of Penang and Kedah. You should know by now Geography is actually an important subject in school. MY FIRST IMPRESSION OF KULIM: a quaint town which was not busy at all (when I was there) in contrast to Georgetown which I just left. One of the places people would consider staying after retirement.